Plot at Ghotawade, Taluka-Mulashi, District-Pune. Proposed R zone, Near from Ring Road PMRDA, 4km From Mega Police Hinjewadi, 10 km from Sus Gaon Pune, 4.5 km from Pirangut.Rate:- 550 per sq-ft15 Gunthyat 3 janancha satbara hoto. 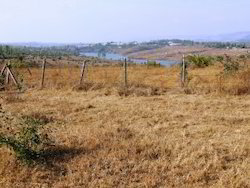 Agricultural land for sale in village limits of Bhamalwadi Gat 43 (Talathi Sajja :Balwadi, Post :Khirdi, Taluka :Raver, District :Jalgaon 425507) is on sale@ Rs. A beautiful project of Agricultural, Farmhouse & NA Plots at Khandshi located at Maval. The overall locality is surrounded by scenic landmarks with various dams, paragliding and action sports centres, green house and Windmill projects. Greetings from Sai Srushti Developers family. Our land is just 5 minutes from Hinjewadi. Address: Survey no 47, Nere village, Datttawadi, Pune.